Something very unique has come through the doors of Unisport HQ a few days ago. This early sample of next season's Nike Strike Snood, aka. 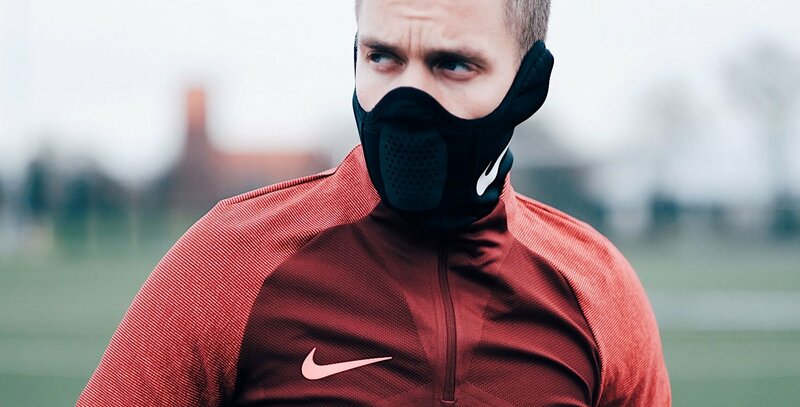 'The Bane Mask', offers a glimpse into the future of Nike football training gear. You might have already seen it on our hosts' Joltter and JayMike's own personal Instagram channels, but recently Nike sent us some very early samples of a 'snood' that they will release for autumn 2018. This already awesome-looking alpha version of the snood offers a look at what the final product will look like and the early signs are very nice indeed. It is already miles better for football, or any other outdoor training form for that matter, than any other snood or neck warmer ever made. I don't think I need to tell you just how big a company Nike have grown into. They cover so many aspects of sport and with that much innovation power at their disposal, they have made a massive commitment to evolving not only football boots, but also every other piece of gear footballers need to perform. Now they move onto a training piece that is not only very common, but also much loved and until now far from as good as it could be. Unisport HQ is in Denmark, so we have it colder than most during the winter, but still I think just about every footballer will agree that during winter playing outside does get very cold. This can affect your training progression in a lot of ways. The best case scenario is that your neck gets cold, which causes irritation and you lose a bit of focus from your training. Meanwhile, the worst case scenario is you catch a cold, get sick and can't play football for upwards of a week. If you want to really push your football career forward, then you can't be avoiding training in the winter just because you might get ill. The Nike Strike Snood keeps your neck area warm and comfortable, but also has a lot of advantages that other traditional neckwarmers just can't live up to. First and foremost, the Nike Strike Snood is made from a neoprene material that transports sweat away from your body. The neckwarmers that players wear at the moment are mostly made for skiing and they purely focus on keeping you warm. However, even though hitting the snow slopes is hard work, you still end up sweating a lot more playing football. That's why if your snood doesn't transport sweat away from your body your sweat is just going to freeze and make you feel even colder. In the same way your sweat chills down your neck, so does your breath. We all know how tempting it is, when wearing a neck warmer, to just pull it up over your mouth, because your nose feels like it might fall off at any second. Doing this may feel nice in the short term, but as soon as your breath gets the neckwarmer wet from condensation, you regret giving into that urge instantly. 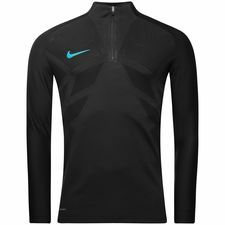 The Nike Strike Snood has a different material to the neoprene around the mouth, which has had holes put into it, so you can breathe through it. It not only gives the Nike Strike Snood its distinct mask look, but also makes it super easy to breathe through. I was really surprised when trying it on, at just how easy it was to breathe with it pulled up - you can't feel you're wearing it at all. 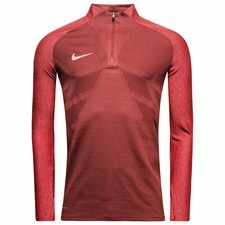 You can't get this Nike snood until 2018, but you can already explore the high performance Nike Strike training gear here. When focus is on creating the ideal performance product, the attention to detail has to be there. The extra work has already been put into the Nike Strike Snood we received, even though it is just an early sample version and those devilish little details are what takes this to the next level. An example of this is the shape of the snood and the way it can be moved up to cover your ears. Usually, if you pull your traditional neckwarmer up above your ears, it will eventually start sliding down and cause more irritation than it is actually helping. 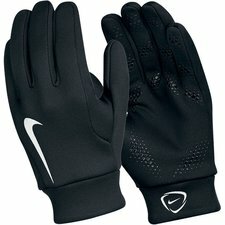 However, the Nike Snood has had small pieces of material fitted around the ear, which you simply pull over your ear and together with the unique shape of the product they help keep it in place. 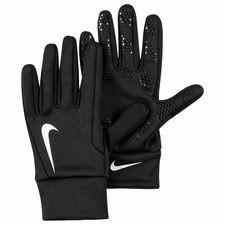 As you can probably tell from the pictures in this blog, Joltter has already been out to test the newest Nike winter training gear in action. A good piece of insight from his session with the Strike Snood is that although it look flipping epic, you don't need to have it pulled up all the time if you don't want to. The new Nike neckwarmer feels just as comfortable and warm pulled down around just your neck area, as it does covering half your face. So if you don't want to look like a Batman villain or someone that partakes in organised crime, you don't have to. Limitless options, high levels of performance and all in all just a product that has no equal on the football market. We totally understand why, if you already want to get your hands on one of these, but you will have to wait until autumn 2018, because it is still in the testing phase. Nike are awaiting feedback from superstars like Eden Hazard, Joltter and Cristiano Ronaldo (spot the odd one out there), so they can put the finishing touches on this unique training piece. You will have to bookmark this blogpost for next year.